Click to Make an Online Donation Now! 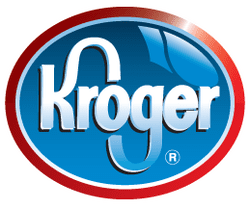 SHOP AT AMAZON AND KROGER TO BENEFIT STAR! ​Click on the Amazon Smile logo to get started. Please note when purchasing items you must go through the Amazon Smile website for STAR to get credit! Our STAR riders are asked to pay only a portion of the actual cost of lessons. We do not ever want to turn away a rider for inability to pay, therefore, we offer Rider Sponsorships to families who need financial help to ride at STAR. If you would like to sponsor a rider so they can experience the therapeutic benefits of the STAR program, please contact the office at 865.988.4711. Volunteers are essential to the success of STAR's programs helping with lessons, horse care, fundraising, office duties, facility maintenance and much more. STAR also partners with churches and school groups, Scouts, 4-H Clubs and corporations who provide service to our organization through diverse projects. If you are interested in becoming a part of the STAR team, click here for more information. Horse Sponsorship is a great opportunity to contribute to STAR and help with the daily care of our horses. Each sponsorship is $1,500 for one year. These funds help to cover costs for grain, farrier, supplements, veterinary costs, and other items of necessity. Upon becoming a sponsor, your name will be placed on the stall door of your selected horse and the website for one year. Additionally, you will be mentioned in the next STAR newsletter. Please note your donation is 100% tax deductible. To find out which horses need sponsored, call 865-988-4711. ​STAR riders pay a portion of the actual cost of lessons. Therefore, there are many costs to STAR associated with lessons that do not get passed on to the rider. With your donation, we will be able to continue providing cost effective services to the special needs individuals in East Tennessee. Please contact the STAR office at 865.988.4711 for more information regarding the Lesson Patron Program. STAR needs corporate sponsors for all events including Bridles & Blue Jeans, Cupid's Cup, Songwriters in the Round, and the Regional Horse Show. Contact the development director by calling 865.988.4711 or email. 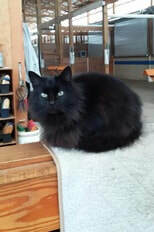 ​STAR has 5 barn cats that need to be fed! 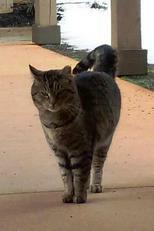 A $150 sponsorship will cover the cost of food, veterinary care and any thing else these furry critters need. Do you feed Southern States, Legends, or Triple Crown feeds? If so, you can help STAR significantly reduce our grain costs. It’s simple: Just cut out the Proofs of Purchase (not the UPC code) from each bag you feed and bring them to us. For each proof we submit, Southern States Cooperative, Inc. will give us 25 cents to use to purchase feed! Contributions from this program so far have added up to almost 15% of our grain bill! With your continued support, we can cut our grain costs even more! ​SAVE BIG $$$ AND HELP STAR! Spending a small fortune on ink and toner cartridges? Now get better quality products at a better price SAVE 30-50%. This program allows you to order your ink and toner products online at a savings of up to 50%, with an additional 10% of your purchase price going to STAR every time you order. Click here for more information or Start Saving & Donating NOW!